Forza Fat Burner is a weight loss product manufactured in the UK by Forza Supplements. The company has been trading since 2007 and produces a number of other health and beauty products. The company’s reputation is good and customer services can be contacted via email or telephone (normal business hours). The Forza website also provides a mailing address for the company headquarters in Kent. 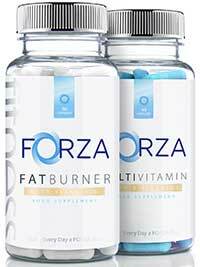 According to the sales page on the Forza website, their fat burning capsules contain a “tried-and-tested” formula that contains a number of stimulants and natural energisers. The nutritional information provided on the manufacturer’s website states the figures provided are “per serving”. This is very confusing because the size of the morning serving is twice that of the one taken in the afternoon. Green Coffee (150mg): An ingredient that provides a natural fat burning compound called chlorogenic acid. All coffee beans contain the compound when they are in their natural state, but it is generally destroyed by the roasting process that is used to provide the beans with a richer flavour. Sea Kelp: (100mg): A species of seaweed that is often added to diet supplements because it’s rich in iodine. A healthy metabolism is partly dependant on the “T” hormones that are released by the thyroid gland and it needs a sufficient supply of iodine to function correctly. However, most people obtain sufficient iodine from their food, so supplementation with extra iodine is only likely to benefit people who have put on weight because a lack of idodine in their diet has resulted in a sluggish metabolism. Caffeine (80mg): A good energy provider and focus booster, caffeine is a common diet pill inclusion that also has the ability to help suppress the appetite. The results of a study conducted in Denmark reveal caffeine can further assist weight loss by boosting the metabolism and encouraging fat burning. Guarana (60mg): A berry that is an unusually potent source of caffeine. However, unlike many other caffeine providing ingredients guarana releases its caffeine content very slowly. This allows it to provide longer-lasting benefits. Cola Nitida (50mg): Generally just called kola nut, cola nitida often used to be blended with ephedra (now banned in the US) and the combination was not without promise. However, when as a stand-alone ingredient its only value is as a caffeine provider. Green Tea (50mg): Another source of caffeine, green tea is also rich in a specific type of antioxidant, called catechins that have a scientifically proven ability to increase thermogenesis within the body. Niacin (8mg): Also called Vitamin B3, niacin helps the body to extract energy from food. It is a common inclusion in diet supplements, but the data obtained from a study conducted in China suggests a link between excess niacin and weight gain, so its presence here may be counter-productive. Pantothenic Acid (6mg): Vitamin B5. 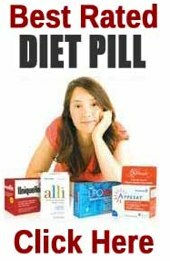 A diet pill regular that can help the body to covert carbohydrates into glucose, while also assisting with the metabolism of fats and proteins. Vitamin D3 (5µg): Although supplementation with Vitamin D may help people to lose weight if they are Vitamin D deficient, its value as a weight loss provider is disputable. How to Take Forza Fat Burner – Two capsules are required shortly after breakfast and a third capsule should be taken just after lunch. Caffeine-sensitive individuals should start with one capsule per day and monitor for negative issues. Capsules should always be taken with a full glass of water. The only customer feedback available comes courtesy of Amazon but, at the time of this review, all the comments available were attributed to Amazon “Vine” reviewers who had received free product in exchange for their reviews. Forza Fat Burner is suitable for vegetarian use, but Forza state the product is not intended for children or pregnant or breastfeeding women. They also suggest users who are sensitive to caffeine commence supplementation with only one capsule per day. People who have difficulty sleeping are warned not to take the capsules after 3pm. Forza Fat Burner does not have a money back guarantee. A bottle of 90 Forza Fat Burner capsules costs £18 from the manufacturer’s website. Forza also sell the product via the Amazon marketplace but, with a price tag of £18.99 per bottle, this is not the cheapest way to go. We rate PhenQ as the best fat burner currently available. 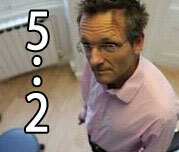 It is not just our opinion but many leading experts within the diet industry. 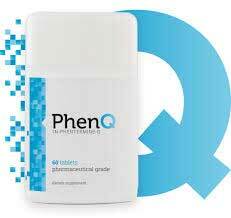 PhenQ is a multi action fat burner that can also block fat from being absorbed and also suppress appetite. PhenQ has a long 60 day refund policy and ships with without a delivery charge.